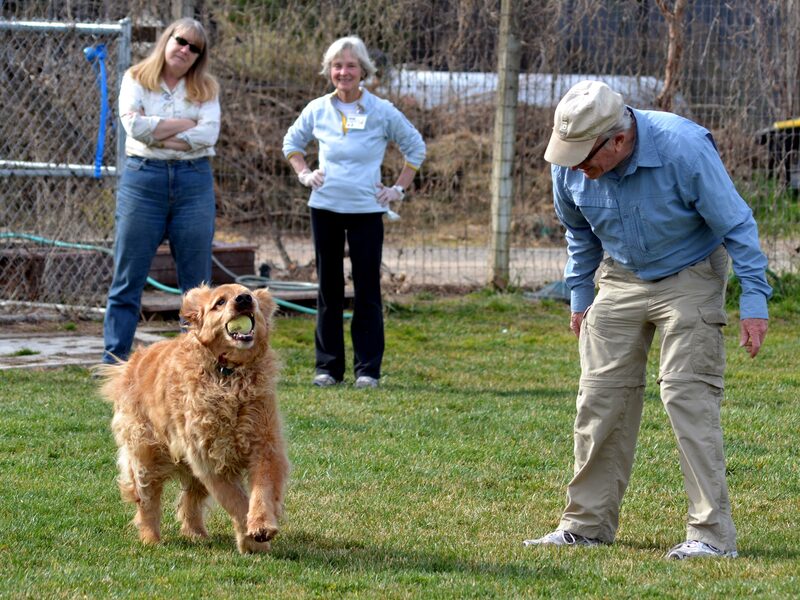 This is an update to my Worth Waiting For post – about a blind golden retriever named Bogey, who was adopted by two retired eye doctors on Valentine’s Day – after three years in Sanctuary at Homeward Bound. The morning with spent with CBS13 local news reporter, Cambi Brown and crew, interviewing Bogey’s adoptive family, Homeward Bound’s president, Jody Jones – and Bogey, of course! Word spread quickly of his brief return, resulting in an extra-large turnout of volunteers today. Now we know how to incentivize them! 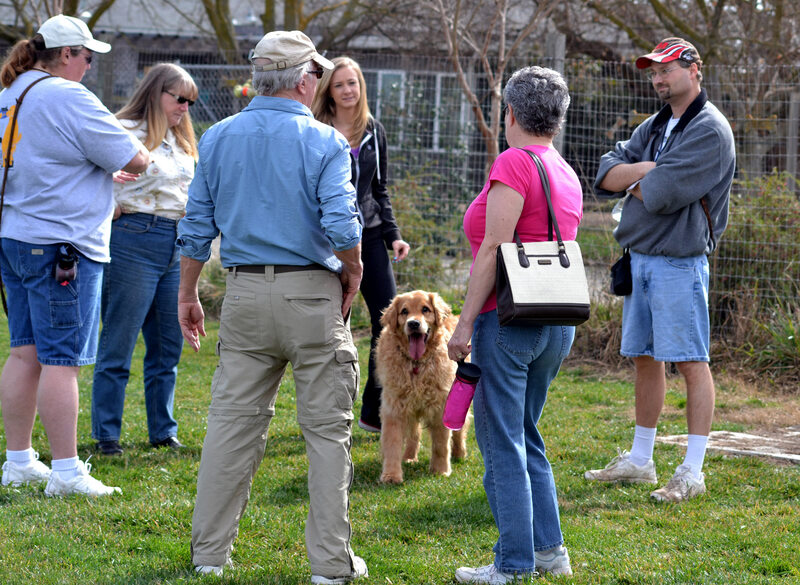 While all the other dogs reaped the benefits of so many helpers on hand, Bogey was definitely the center of attention. Special thanks to our friends at CBS13 for their interest in our Bogey boy and for helping to spread the word about the value of adopting adult and special needs dogs. 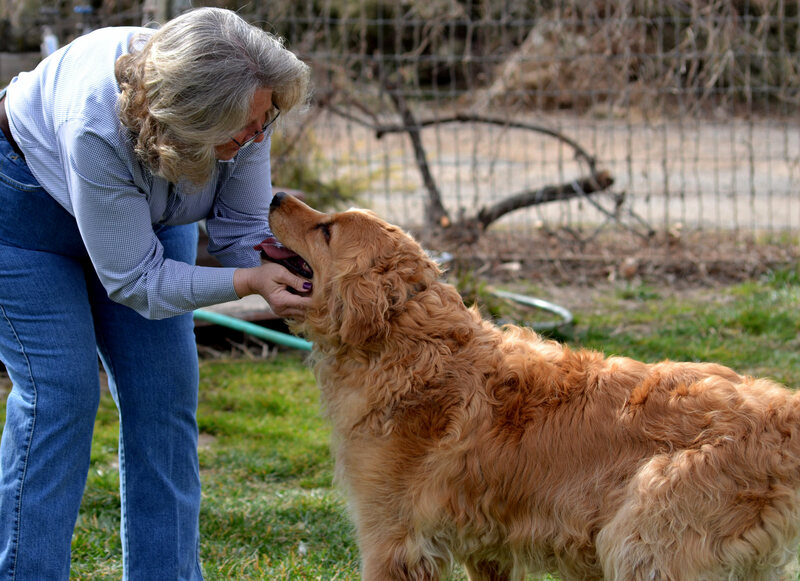 But our greatest thanks are reserved for David and Anita, who gave our golden boy a long-awaited loving home. Happy ending? “Every end is a new beginning.” ~ Proverb. Happy new beginning, Bogey boy! Congratulations Bogey! Grady too, knows what it is to be loved for himself, and not rejected for what he has not. Well put 🙂 And best to Grady! 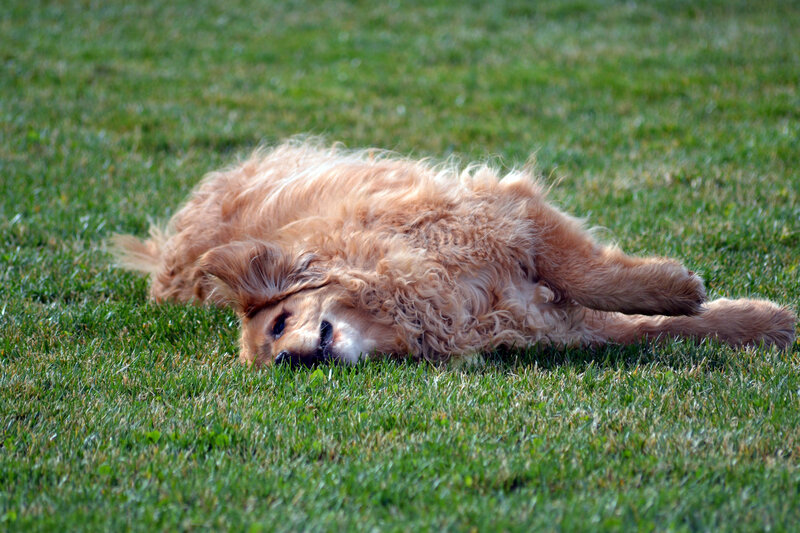 What a wonderful story – Bogey looks like a sweet loving boy and SO happy. In love with this story. So wonderful that they adopted him and that everyone gets to see the rewards for adopting a special needs animal. Marvelous that you got the media coverage as well. I sincerely hope that it helps increase adoption rates for you. I have actual tears in my eyes…So Happy for Bogey! and his family! So heart warming! A truly wonderful family they make! Homeward Bound, Bogey, David and Anita prove there are happy endings. Good motivation to do the best you can every day to make the world we live in a better place. It certainly does power us through the sometimes hard work of rescue. Thank you, Judy! Great job as always Homeward Bound!! Congrats Bogey! 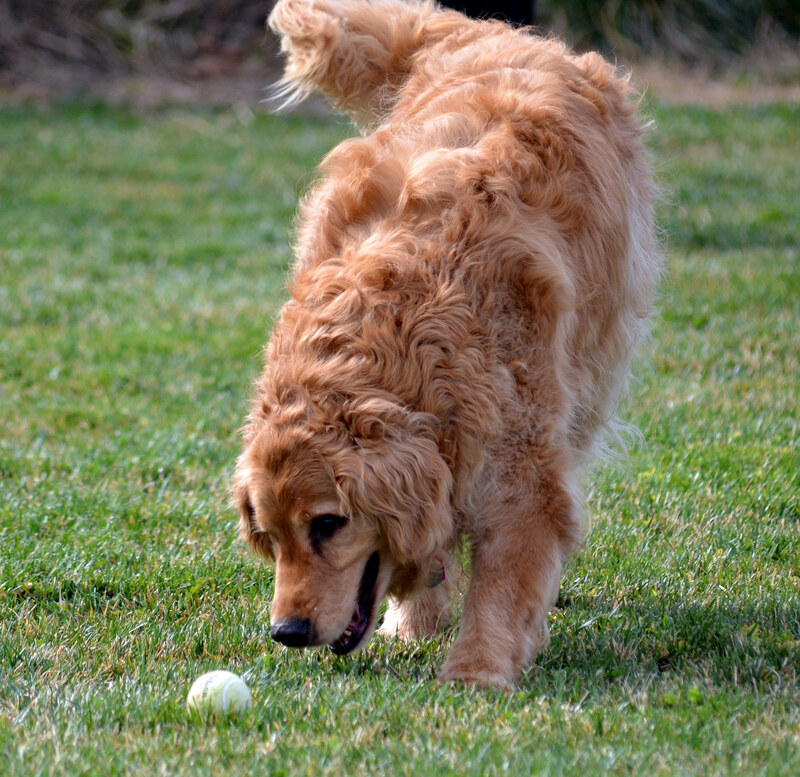 Bogey says “woof!” Thank you! Yay! What a happy post. Thank you! 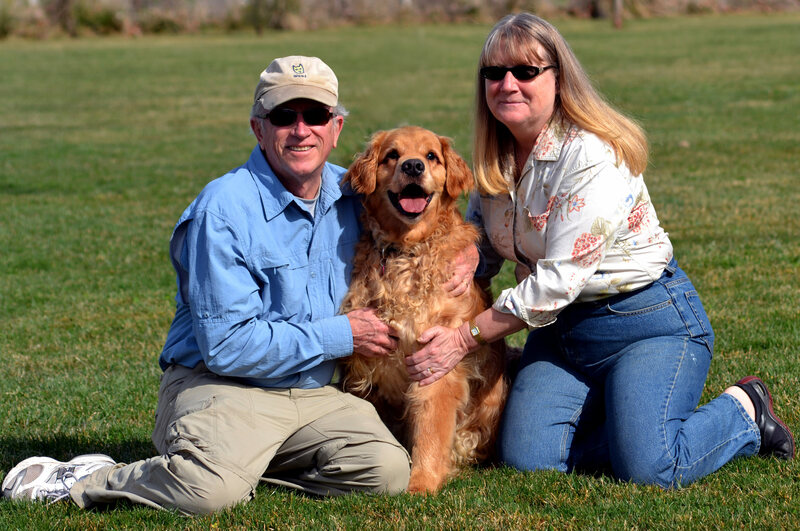 Thank you to angels Dave and Anita for giving Bogey his happily ever after. And of course thank you to Jody and all of her angels at Homeward Bound for caring for Bogey and showing him his true worth. I drove Bogey and his companion Birdie to Homeward Bound three years ago from Los Angeles….both of them so terribly neglected. Seeing Bogey so happy and well loved has made my heart smile. Well done, David and Anita. It is just something that Dave would do for he so loves animals. Bogey, you are one lucky pooch! It’s amazing to see all three of them together. Thanks for visiting with us… “Aunt Carol” ! Thanks for visiting. Finn is beautiful. Sounds like you did the hard, but right thing for him in a tough situation. Thank you for looking out for him. Auntie Paw (http://thepersecutionofmildreddunlap.wordpress.com/2013/03/05/1861/) sent me the link since I adore dogs. Welcome to the Bogey Fan Club! 🙂 You are in good company! I admire what you do with all my heart. Thank- you so much for sharing these stories. I’m still sobbing and want to say so much more – but thank-you, thank-you, thank-you will have to do while I run and get a tissue. Ahhh…thank you. What fun, your blog! Although I have to tell you, Jet emailed me and said he felt under-represented. 🙂 Beautiful family and so much joy. Happy to follow your adventures!